Samuel W. Levy was born in the town of Haegen, Alsace, France in 1830. He was educated in college at Phalsbourg. In 1848, Samuel Levy came to America, at the age of 18, and peddled sponges in and around New York. Traveling to New Orleans to obtain more sponges, Levy caught the “gold bug,” headed across the Isthmus, and then to San Francisco, sailing on the steamer Tennessee, and arriving on the last day of 1851. Samuel Levy’s first job in California was translating the old Spanish laws into English for the State Courts. He then spent a short time in Grass Valley. Retuning to the Bay Area, he settled in San Antonio, which is what East Oakland was called at that time. He stayed there until 1863, acting as a notary public. Levy next established himself in San Francisco, developing one of the largest insurance agencies on the Pacific Coast. Together withDavid Block, Levy also operated a chain of stores in communities near San Fran­cisco. 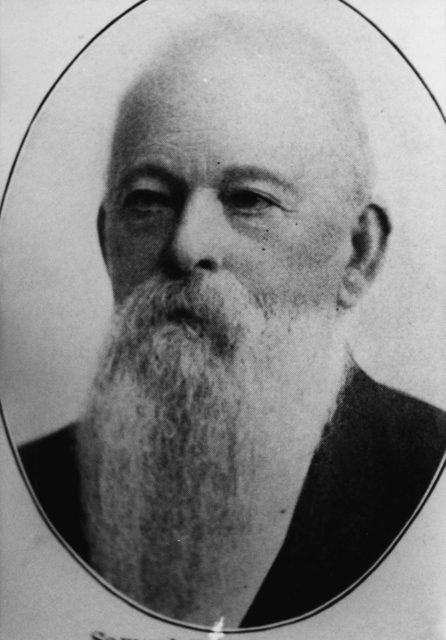 For over forty years, Samuel W. Levy was the president and ex­ecutive officer of the Pacific Hebrew Orphan Asylum. He took care of hundreds of orphans personally. Additionally, Levy was president of the Eureka Benevolent Society. He also was active on the gov­erning board of the Associated Charities of the city. The Levys were members of Congregation Emanu-El. Samuel Levy was the only Jewish member of the Sloat Monument Association of California. In 1856, he served as a delegate to the Democratic State Convention at Sacramento from Alameda County. Later in life he was a Republican. One of Samuel Levy’s outstanding activities was his work with the Kin­dergarten Movement. This cause was initiated by Dr. Felix Adler of New York while on a visit to the West Coast in 1878. 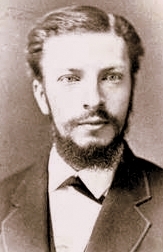 The movement was organized and pushed by Levy, who became known as the “father of the kindergarten system” in San Francisco. Levy’s spirited leadership and devoted promotion led to the establishment of hundreds of kinder­gartens in the Pacific states in the early twentieth century. The schools were later incorporated into the public school systems. Samuel Levy was a high ranking Mason and occupied a national office in that order, having been a member of Eden Lodge of San Leandro in the 1860’s and of Pacific Lodge No. 136 of San Francisco from the early 1870’s. Samuel Levy married Babbette Block in 1856. Together they had 5 children: Mrs. William Lewis, Mrs. S. Blum, Mrs. Alfred Greenbaum, Mrs. Liebenthatl, and Melville S. Levy. Samuel Wolf Levy died in 1916. Norton B. Stern, “Samuel Wolf,” Western States Jewish History 41/1. Martin A. Meyer, The Jews of San Francisco (San Francisco: Emanu-El, June 1916). David Epstein is curator of this Samuel Wolf Levy exhibit. The Executive Mansion, Dec. 8, 1870. The bearer of this letter, Mr. B. F. Peixotto, who has accepted the important though unremunerative position of U. S. Consul to Roumania, is commended to the good offices of all representatives of this government abroad. Mr. Peixotto has undertaken the duties of his present office more as a missionary work for the benefit of the people he represents than for any benefits to accrue to himself, a work in which all good citizens will wish him the greatest success. The United States, knowing no distinction of her own citizens on account of religion or nativity, naturally believes in a civilization the world over, which will secure the same universal liberal views. —The Hebrew Observer, San Francisco, Dec. 30, 1870 [WSJH 19/2]. Born in New York City of a distinguished Sephardic family in 1834 and raised in Cleveland, Benjamin Franklin Peixotto was a practicing attorney in San Francisco when President Grant, in 1870, named him U. S. Consul to Roumania, so that the United States government might have a Jewish representative there to work for the alleviation of the Jewish persecution then going on in that country. Peixotto’s work in Roumania was quite successful. See WSJHQ, April 1976, for more material on Peixotto and his Roumanian mission.